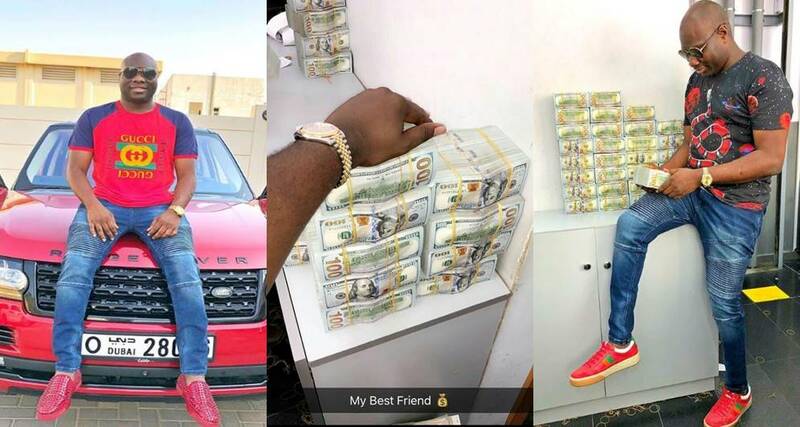 Mompha shows off wads of dollars on Instagram, calls them his "best friend"
Dubai-Based Nigerian Big Man Ismalia Mustapha popularly known as Mompha showed off wads of dollar on his Instagram story today. 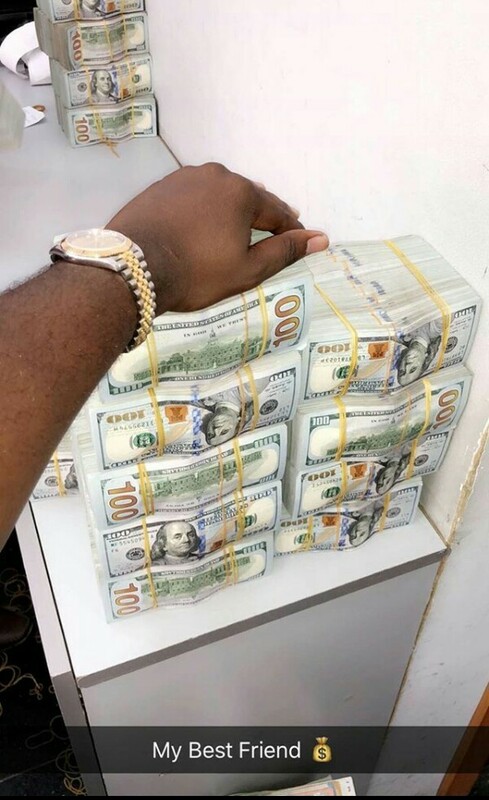 Ismaila is the owner of Mompha Bureau De Change, Lagos Island Nigeria and he is renowned for always showing off wads of cash (most times, hard currency) and his much publicized beef with fellow Nigerian Big Boy, Hushpuppi. 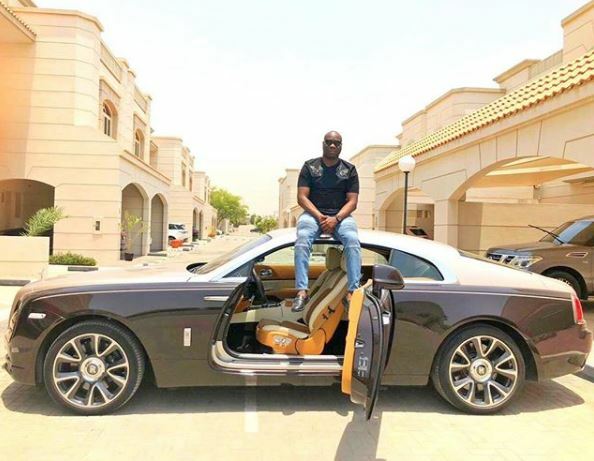 Mompha is a philanthropist and best known for his Bureau De Change Business and Luxurious lifestyle he lives both home and abroad. 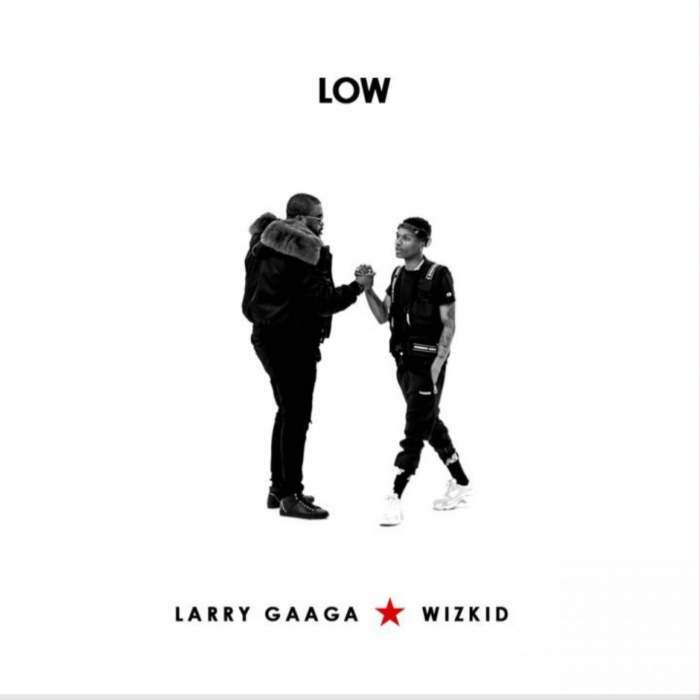 The young man has taste for good things as he flaunts wads of cash constantly on his Social media Pages.